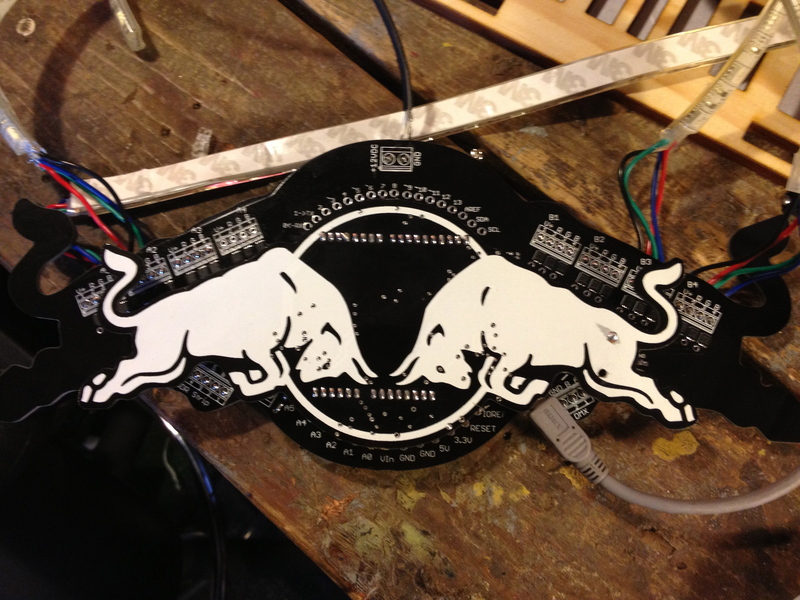 This year’s Redbull Creation contest will feature a multi-function circuit board nicknamed the “TurBull Encabulator”. Participants will be expected to utilize the board and submit their entries for the final build competition to be held in Brooklyn, New York. The circuit board is controlled by an Arduino Uno R3, has a tri-axis accelerometer, temperature control sensor and a 2nd generation reciprocating dingle arm. It takes its inspiration from the fabled Turbo Encabulator, an instrument that allows transmission, supplies inverse reactive current for use in unilateral phase detractors and it has the capability to automatically synchronize cardinal grammeters. RedBull Creation is in its 3rd year now, with registration running from April 8th to May 5th, official judging will take place between May 6th and May 11th. The final 6 teams will participate in a 72-hour long build competition in front of a live audience of 80,000 people in New York’s largest annual festival. Details of the board can be found here and more can be learnt about the competition from the RedBull site.